Testing among members of the South Asian community has increased in recent years and the percentage of Asian or Asian British people who tested positive for hepatitis C fell from 2.7% in 2011 to 1.5% in 2015. However, this is still a much higher prevalence than in the wider UK population, estimated at 0.4%, and the prevalence of hepatitis C in the South Asian community may be higher among those who have not accessed testing. A 2013 community-based study in Glasgow, for example, found that hepatitis C prevalence ranged from 0.6% among those born in the UK to 3.1% among those born in Pakistan, with the odds of testing positive significantly higher among those who had received medical or dental treatment in South Asia. It is estimated that 50% of people with hepatitis C do not know that they have the virus, and it is therefore vital that members of the South Asian community are able to access testing for hepatitis C. Increasing the number of people getting tested is essential if we are to find those who remain undiagnosed. One challenge in increasing testing and treatment in the South Asian community is the issue of social stigma. Some in the community believe that visiting a clinic will lead to perceptions that they are ‘dirty’ or ‘diseased’ and affect their standing in the community. This sense of stigma often stops people from accessing testing. Low awareness of hepatitis C in the South Asian community is also an issue, with some not accessing testing despite knowing they may be at risk. The often asymptomatic nature of hepatitis C can lead to complacency in those who suspect they have the virus, despite the risk of liver damage increasing with time. It is therefore essential that members of the South Asian community receive information about hepatitis C, in order to reduce stigma and increase awareness of the virus. 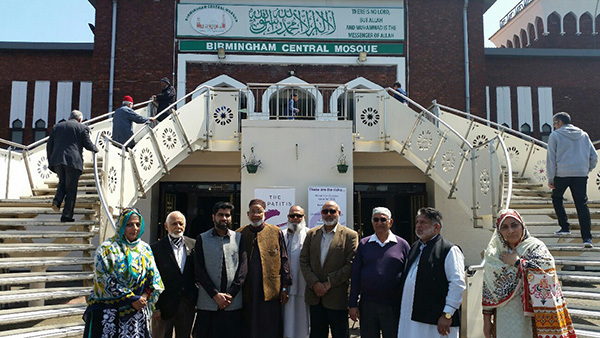 To face this challenge The Trusts South Asian Outreach Officer Shabana Begum leads awareness and testing events within the South Asian community at Melas, Mosques and other community centres in partnership with community leaders and local health authorities. The projects goal is to raise awareness of the hepatitis C virus (HCV) in the South Asian community and to encourage people to come forward for testing and to reduce the incidence of liver disease. The project uses oral swab testing. Its simplicity and speed make people much more willing to take the test. Those testing positive are referred into local services. Shabana is a regular presence on South Asian radio stations, television and in newspapers telling her story, raising awareness and challenging stigma. We are always looking for people from all communities to talk about their experiences of hepatitis C and challenge stigma. If you are prepared to speak out, please contact shabana.begum@hepctrust.org.uk.